Bunna International Bank (BIB) announced the selection of Finacle core banking solution, from Infosys, last Thursday for an undisclosed sum. The software will enable the bank to integrate its front and back office operations by deploying a state-of-the-art loan organisation system. 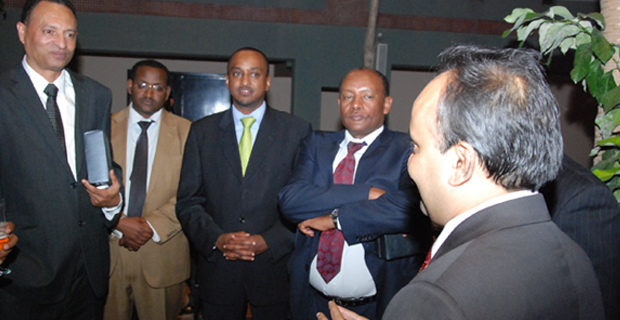 Addis Ababa — In its efforts to introduce new transport technology in the country MKTY, an Information Technology Services Company, had recently organized a visit for members of eight leading transport companies to South Africa. Zemen Bank Selects Cyberoam from MKTY. 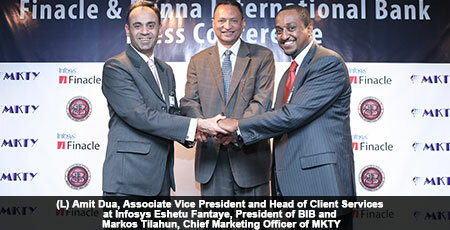 Indian technology firm, Infosys, may finally get a centralised, online, real-time, electronic (CORE) banking deal in Ethiopia, with Bunna International Bank (BIB), after failing in six earlier tenders with other local banks; the two parties signed a memorandum of understanding (MoU) on May 30, 2012, at the Hilton Addis Abeba Hotel. Habesh Breweries selects IBM Verse, Social Business Platform on Cloud Hosting from MKTY & IBM. One of the first Cloud based IBM Verse deployment in Africa. © Copyright 2016. MKTY IT Services P.L.C.